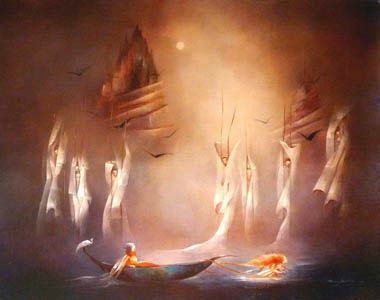 Our last stop was the one that I enjoyed the most... for several years now , strangemuses has been telling me how much she loves the work of Anne Bachelier, and had sent me the link to the website of the gallery who handles her art - we've been forever meaning to visit and finally did and are so glad we made it! The gallery owner, Neil Zukerman, is just wonderful. We got there late in the afternoon on Saturday and he mentioned he'd almost closed due to the heat but I'm so glad he didn't! He took the time to show us many amazing treasures and tell us about the artists. 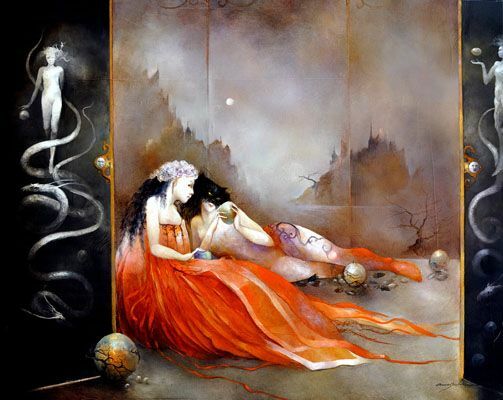 It turns out that Anne Bachelier has just finished a set of illustrations to a new Poe anthology that they will be releasing on November 8th so we definitely need to come back as they'll be hosting her and holding a signing in the gallery. We got to see a mock up of how the book will look as it is just going to the printers, as well as the original painting of the illustration to "The Black Cat". And OMG...his office...I have severe art book envy - the walls were floor to ceiling with bookcases of art reference books, many rare and out of print titles - I saw half a shelf on Gustav Moreau alone! 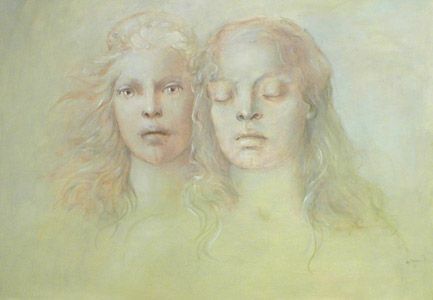 And an original painting by Salvador Dali was hanging on the door! 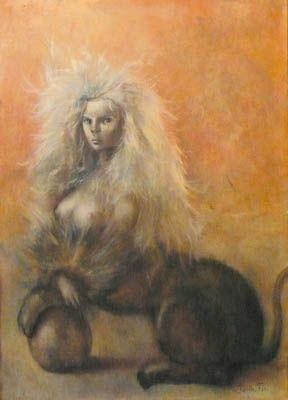 Over his desk, an amazing masterpiece by an artist I had previously been unfamiliar with but am now somewhat obsessed with - Leonor Fini, an amazing woman who was a contemporary of Dali and friend and lover to Max Ernst. Why have I not heard of her before??? Her work is amazing! 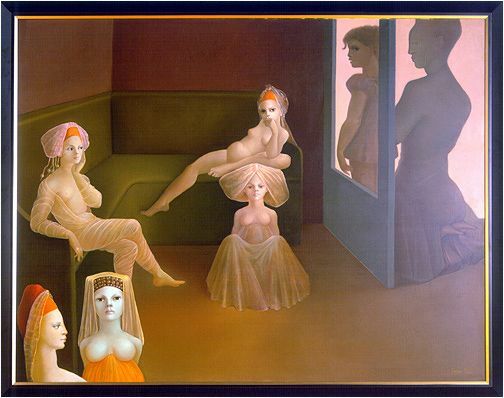 This one was hanging in the main gallery, "Tristan Und Isolde"
artists ranging from Michael Parkes to Felician Rops, venetian glass sculptures, amazingly surreal jewelry, Lalique glass and cool sculptures. 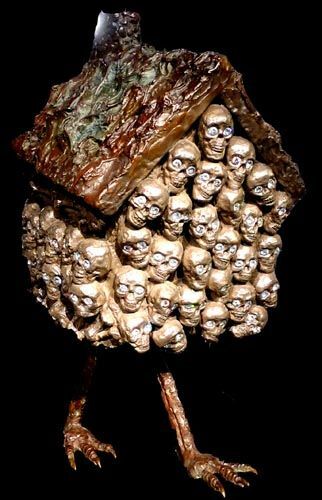 I loved this piece - it is called "Baba Yaga Eats Damien Hirst"
I had such a wonderful time, it is rare to find a kindred soul so obsessed with art to whom it means so much. Little excites me as much as finding an artist I had not known of previously who's work excites me so much!